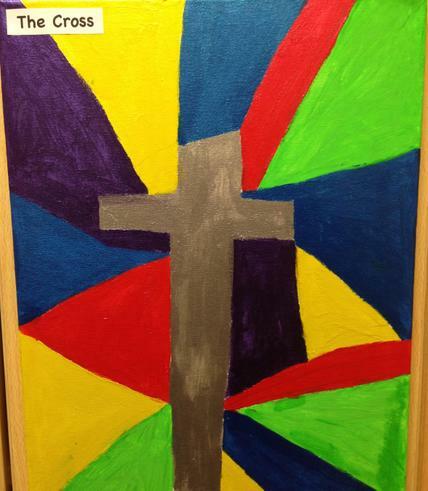 This page shares information regarding Religious Education, Collective Worship and the Ethos of our distinctive Church of England Primary School. We hope it gives you a brief insight into the Christian Character of St Mary's and evaluations made against the SIAMS criteria. For information regarding SEND Local Offer please visit www.liverpool.gov.uk/localoffer. For information regarding OFSTED or Teaching and Learning Standards please visit our Standards page. “The school’s Christian character gives excellent support to all aspects of school life. This is widely acknowledged and valued by staff and parents and by the pupils themselves. "There is an atmosphere of care and support in the school. Pupils feel safe." "Pupils live out the school’s values of tolerance and respect." On Monday 22nd March 2016, Rev Carol Close came to spent the day with us at St Mary's. She came to evaluate our application for Church School Partnership Level 2. This is something we would love to be awarded, as it assesses the impact our ethos and Values for Life programme is having on our pupils and staff. It was a long day, but one where we could celebrate all the evidence we had to present to Carol. The highlight of the day was when she interviewed children from each class and asked them to take her on an Ethos walk around School. The children's responses had a real positive impact on Rev Carol. Our pupils are truly amazing! All the evidence to support the application will now be written into a report by Rev Carol and then submitted to the Bishops Panel. We will hear in April as to whether we were successful. Thank you everyone - pupils, staff and parents as you all contribute to the great Christian Ethos at St Mary's. On 19th June 2015 we were visited by Mr Haige, a SIAMS Inspector. His role was to evaluate St Mary's against the SIAMS criteria for his 'Keeping On Track visit'. The main objective was to assess how we are meeting the needs of our learners and allowing all children to receive the very best education. He wanted to find evidence of our 'distinctive Christian ethos' and how this helps each learner to achieve. Please find the report that came from this visit below, we are very proud of it! Discussed the ethos of St Mary's - what makes St Mary's unique? Discussed links we have within the local community, City and with Churches in West Derby. Celebrated the partnership activities we have joined in. Completed an 'Ethos Walk', evaluating how our visual arts and School environment reflects the Christian Values and Ethos of St Mary's. Looked at a range of Religious Education books (no names) across each year group to gain an understanding of the learning taking place across School. Looked at the Collective Worship syllabus and asked questions concerning the impact of CW. Following this - Mr Hargreaves was able to update the School SIAMS Toolkit and highlight the impact that our Ethos has for our learners.